The Nusa Islands were one of our favourite places to visit in Indonesia. 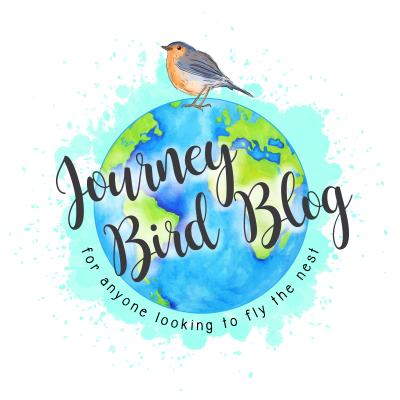 These three tropical paradises are often thought of as being part of Bali, when in fact they’re a different region, but they’re extremely easy to get to from the main island or other nearby islands like the Gilis. 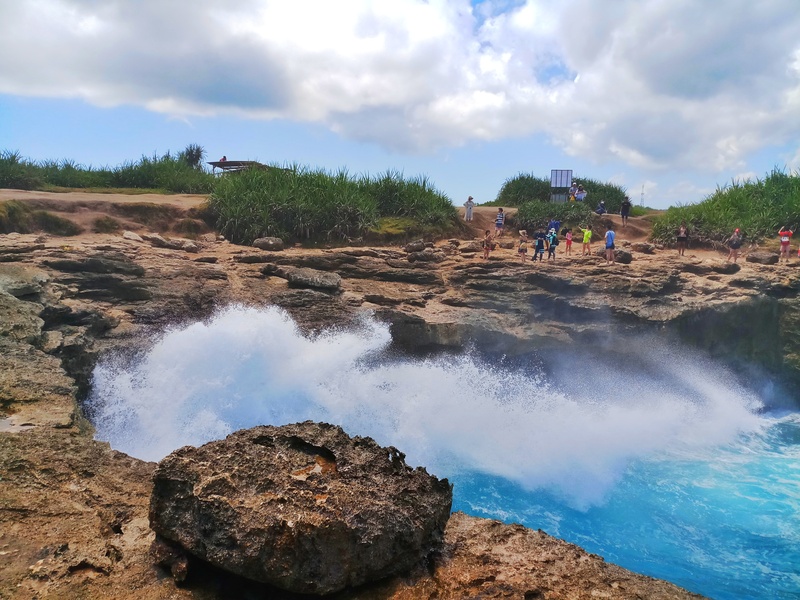 Nusa Lembongan is usually the first stop for most travellers as it’s the closest and the livelier of the trio. To get there, simply catch a 25-minute boat ride from the sleepy seaside town of Sanur, which is on the South-East of Bali. This gateway is an hour or less drive from many popular holiday spots, including Kuta and Canggu, and a two-hour drive from Ubud. You could always stay in Sanur to get an early start, but the ferries run a few times a day. 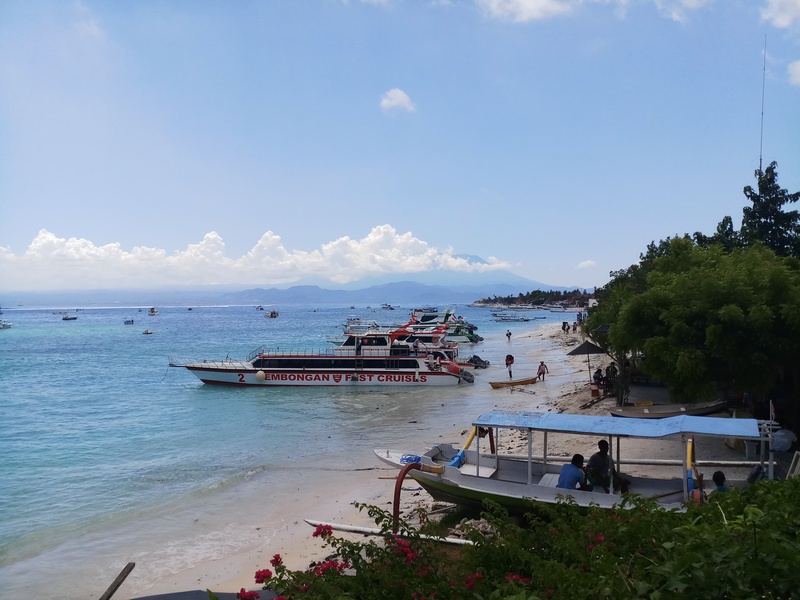 The boat will arrive at Jungkut Batu, one of the two main villages on Lembongan and home to a plethora of hotels, resorts and restaurants. You don’t have to stay close to the port though, as you can easily arrange a car pick-up to your accommodation through them. Remember it’s a small Island, and getting from one side to the other is a short 15-20 minute drive! There are a few companies that do this journey daily, but I’d recommend the safest and most reliable fast boat options. Scoot and Rocky Fast Cruises are your best bet. They both offer drop off and pick-ups from hotels in the areas, but Scoot is a bit cheaper. These services all go to the largest of the islands, Nusa Penida. Luggage is tagged and taken on and off separately, so don’t fret when you’re separated from your bag. You can purchase tickets online a few days in advance, or talk to your hotel or a travel agent to book. 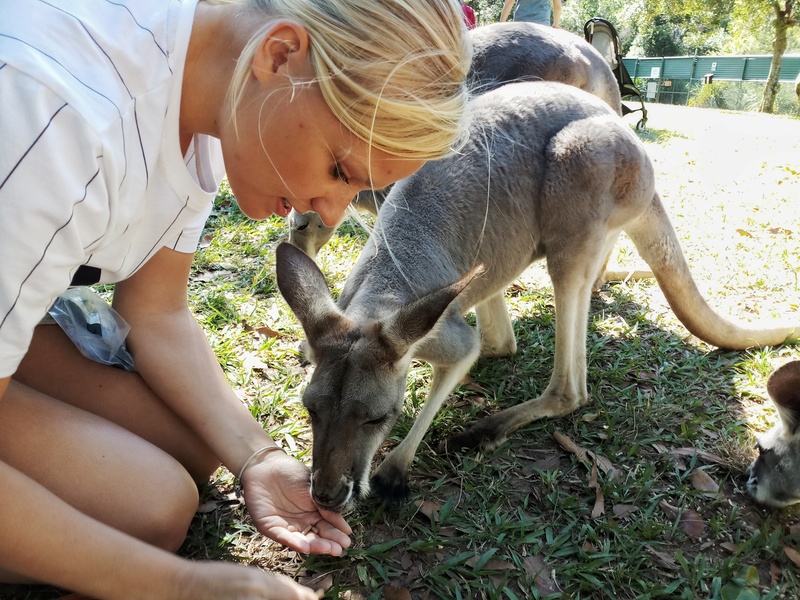 We’ve often found booking in person with a local you trust results in the best prices. A standard ticket one-way shouldn’t set you back anymore than 300,000 rp (£15). This is how we arrived at the Nusa Islands. 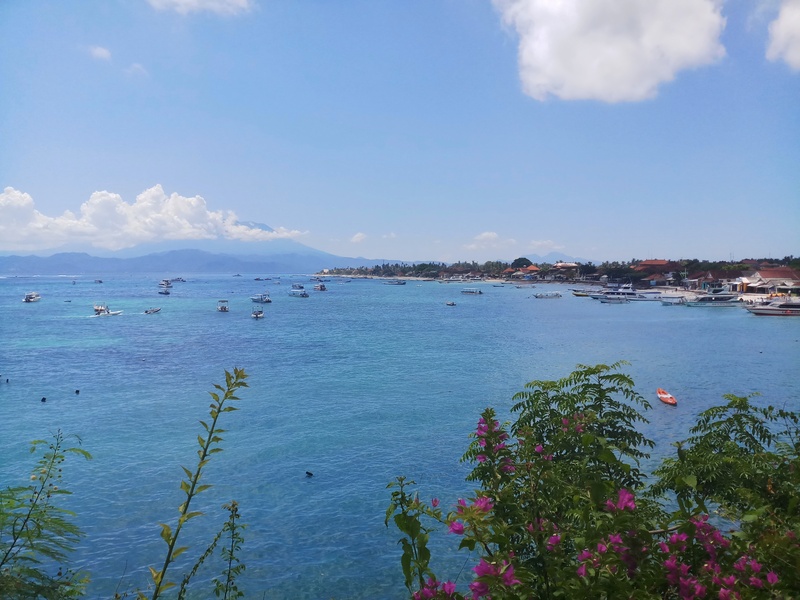 I’d struggled to find a good blog post or details of which boat to take from Gili Trawangan, so in the end we asked a member of staff at our hotel a few days before departure. He recommended a company called Eka Jaya, which does daily trips between the Gilis, Padangbai in Bali, Nusa Lembongan and Penida, and Lombok. The boat seats up to 200 people, but it wasn’t full when we took it. It’s spacious, has air-con, and two toliets. You can even sit on top deck and watch the views as you speed along. 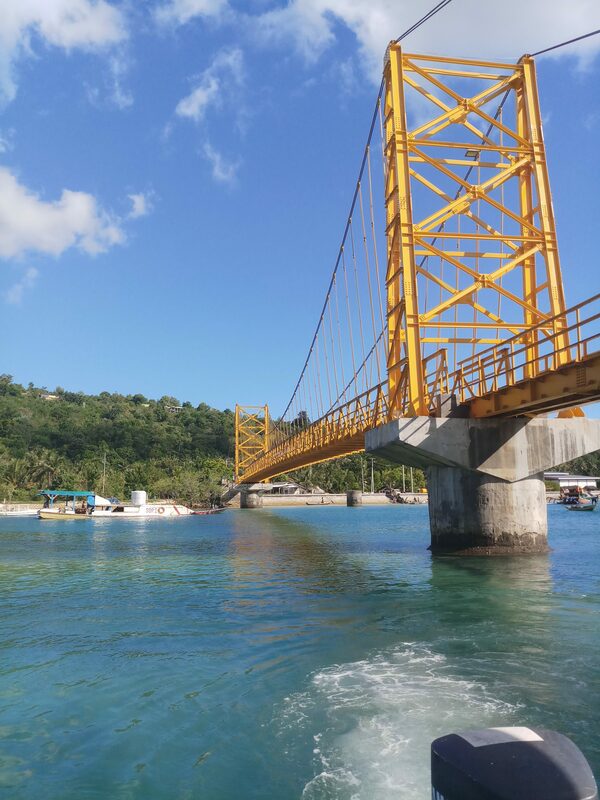 Unlike the boat from Bali, you’ll arrive on the East coast of the island by the imfamous Yellow Bridge. That’s where you’ll be asked to get off and jump on a smaller boat to the shore or to Nusa Penida. Online the company charges around 650,000 rp for a one-way ticket to Nusa Lembongan from the Gilis. We were charged just 700,000 rp (£36) for two people as we went through our accommodation. It’s always best to compare online and in-person prices before agreeing to anything. 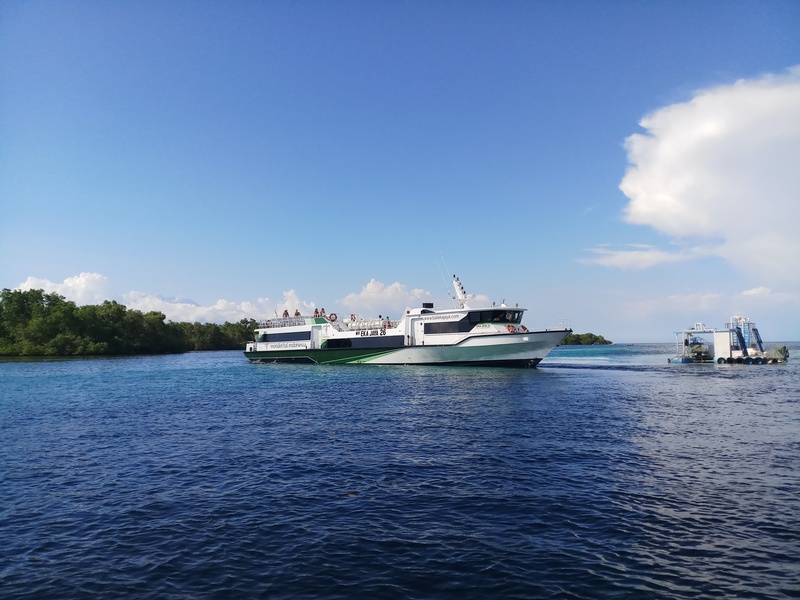 Bounty and Bali Hai are among the companies that run day-trip cruises to Nusa Lembongan. During the day they ferry tourists to the main village of Jungkut Batu by mooring near Playgrounds surf. There are some fantastic bars and restaurants here, including The Deck cafe & bar and Thai Pantry where you can sit back and enjoy the view of the bay. There’s also surfing, diving, snorkelling and paddle boarding activities available at your fingertips. You could also hire a moped and venture further inland or all down the shore to see popular tourist attractions like The Devil’s Eye. Bounty offers a one way ticket for £25, and a day cruise with Bali Hai is £67. There are other companies to choose from though.